At 8 a.m. EDT on October 23, 2015, the National Hurricane Center reported Patricia became the strongest eastern north pacific hurricane on record with sustained winds near 200 mph. This animation of images captured from October 20 to 23 from NOAA's GOES-West satellite shows Hurricane Patricia near western Mexico. This image showing the eye of Hurricane Patricia was taken by the Suomi NPP satellite's VIIRS instrument around 0930Z on October 23, 2015. The strongest hurricane ever measured by the National Hurricane Center, Category 5 storm—Patricia is heading toward Mexico's west central coast. NASA created a visualization of the ocean garbage patches using data from floating, scientific buoys that NOAA has been distributing in the oceans for the last 35-years. 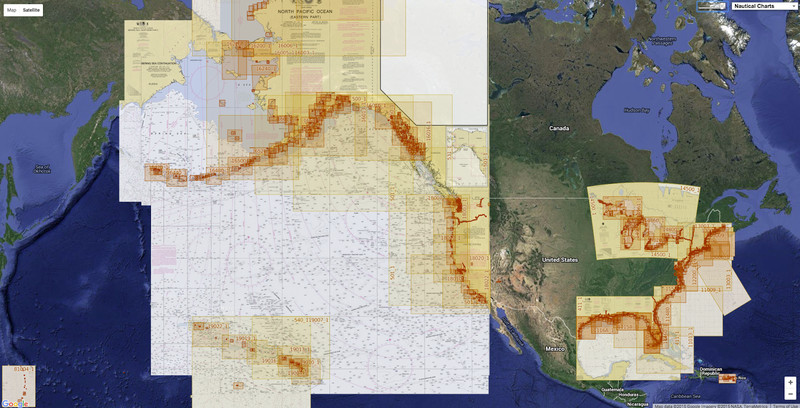 "We wanted to see if we could visualize the so-called ocean garbage patches. We start with data from floating, scientific buoys that NOAA has been distributing in the oceans for the last 35-years represented here as white dots. Lines of buoys are due to ships and planes that released buoys periodically.If we let all of the buoys go at the same time, we can observe buoy migration patterns. The buoys migrate to 5 known gyres also called ocean garbage patches. Even though the retimed buoys and modeled particles did not react to currents at the same times, the fact that the data tend to accumulate in the same regions show how robust the result is." Plastic is one of the most widely used petroleum-based consumer and industrial products, used in a wide variety of applications such as packaging, construction, automobiles, toys, furniture and piping. In spite of its utility, the biggest limitation of plastic is that it is mostly non-biodegradable and the majority of the waste plastic ends up in the ocean gyres. Due to the sheer size of the oceans, it is virtually impossible to clean them using the standard nets and vessels. Even if a clean-up of such magnitude is envisaged using such a method, it would take around 79,000 years to complete and the costs would run into the tens of billions of dollars. However, there is one company that has a solution to this seemingly impossible task. Founded in 2013, The Ocean Cleanup is a firm that wants to introduce a new and innovative solution for cleaning the world’s oceans. It is estimated that around 8 million metric tons of plastic ends up in world’s oceans every year. According to a report by Trucost and Plastic Disclosure Project, our marine ecosystem suffers damages of around $13 billion each year due to plastic pollution. The Ocean Cleanup Array would utilize the natural ocean currents by employing elongated floating barriers to capture the plastic waste. The floating barriers would be designed for large scale deployment and would cover millions of square kilometers without moving. According to research conducted by the company, a 100-kilometer array that is in use for ten years would have the capability to remove close to 42 percent of waste from the Great Pacific Garbage Patch. With an average clean-up cost of $5.1 per kg, the Cleanup Array technology is going to be deployed by the second quarter of 2016. The array would be close to 2000 meters in length and will likely be deployed off an island called Tsushima which is located between the waters of South Korea and Japan. The new system would operate for two years (at least) and would try to grab the plastic waste before it reaches the shores of Tsushima Island. The company also plans to deploy a 100-km long array for cleaning up the Great Pacific Garbage Patch in the coming five years. According to estimates from the Ocean Cleanup Group, a 100-km array in use for ten years can collect close to 70,320,000 Kgs of garbage (which would be mostly plastic waste). So what should be done with such a vast trove of leftover plastic? There are several companies that could convert plastic waste into liquid fuels. Plastic2Oil is one such clean energy company that is converting waste plastics into low sulfur–ultra clean fuel that does not require any further refining. However, the company currently accepts only industrial and post-commercial plastics which are unwashed and found in industrial waste streams. There are also pyrolysis plants that recycle the waste plastics into fuel, oil (pyrolysis oil), gas and other important materials through catalytic conversion processes. Pyrolysis is a process which can accept any kind of polymer or a mix of plastic polymers, making it an effective solution for recycling all kinds of plastic wastes. In fact, techniques such as ‘Microwave Induced Pyrolysis of Plastic wastes’ are now emerging, which are considered to be even more effective and comprehensive than the standard pyrolysis technique. Authorities at Tsushima Island plan to utilize the plastic waste once it comes out of its waters. Japan has several pyrolysis plants which produce fuel that is used for generating power with the help of diesel generators. With these developments in place, The Ocean Cleanup Campaign can not only help reduce the global plastic pollution but also help create alternative forms of energy, which would reduce consumption of conventional fossil fuels. However, a lot depends on the success of its upcoming pilot project in 2016. Images taken on Sept. 17, 2015 by NASA’s Earth Polychromatic Imaging Camera camera on the Deep Space Climate Observatory. NASA, may be a multi-billion dollar space agency, but in some ways, it’s just like you. It takes 12-megapixel photos just like you with your iPhone 6S and it likes to share them every day in real-time. Of course, it also has a few slight advantages you’re probably not going to compete with. For one, it’s latest camera is attached to a satellite 1 million miles away as opposed to your phone located a few feet above the planet’s surface. And while you might get a nice shot of latte art that’s Instagram-ready, NASA has a killer view of the earth against the black void of space that’s evening news-ready (and probably doesn’t look so bad on Instagram either). The dynamo of a camera even has an amazing name: EPIC, shorthand for Earth Polychromatic Imaging Camera. It’s attached to the Deep Space Climate Observatory, a space-weather monitoring satellite launched earlier this year. The satellite’s main goal is to monitor space weather and warn of incoming solar storms that could disrupt telecommunications. But NASA and the National Oceanic and Atmospheric Administration, which manages the satellite, have also made sure the satellite can keep an eye directly on earth. It’s position allows it to see the whole planet. As earth spins, EPIC snaps a picture of its sunny face. The pictures it takes are being made public daily, in an effort to inspire maximum awe at our capabilities to monitor our planet (or FOMO if you’re a glass half empty kind of person). Scientists can use the images as well as a radiometer also aboard the satellite to monitor the big picture of what’s happening at home. The data will help scientists create dust and volcanic ash maps of the entire world as well as monitor different aspects of the earth’s atmosphere including aerosols and ozone and other aspects of the earth’s reflectivity, a key component of the climate system. For example, global warming is causing the planet’s ice to recede. As that happens, the planet absorbs more sunlight and temperatures rise even more. The satellite has been nearly 20 years in the making. Then-Vice President Al Gore initially conceived of the satellite in 1998 as a way to monitor the earth. At the time, it was named “Triana” after the member of Christopher Columbus’s crew who first caught sight of the New World. It was built but later mothballed during the Bush Administration before being brought out of storage by the Obama Administration in 2011. It was launched into orbit earlier this year and sent back a blue marble image that garnered headlines in July. The satellite is the first deep space earth-monitoring satellite mission the U.S. has ever undertaken, though the images it’s returning are certainly not the first time NASA has upstaged you on Instagram. It was published by the Royal Geographical Society in 1899. Scale [ca. 1:100,000,000]. The image inside the map neatline is georeferenced to the surface of the earth and fit to the 'World Gall Stereographic' projection with the central meridian at 20.00000 degrees west. All map collar and inset information is also available as part of the raster image, including any inset maps, profiles, statistical tables, directories, text, illustrations, index maps, legends, or other information associated with the principal map. This map shows features such as drainage, shoreline features, and more. Relief shown by hypsometric tints. Depths shown by gradient tints. The only physiographic feature he named were deeps, defined as area of the seafloor believed to have depths greater than 3000 fathoms. Ocean exploration was a key scientific objective in the late 1800s. Any number of oceanographic, biological, chemical, geological and physical discoveries had been made and one of the preeminent scientists was John Murray. The results of his voyages on H.M.S. Challenger led to this map, the first to make its focus the deeps, what occurs underneath the surface rather than previous voyages and explorations that were concerned with coastal and shallow waters. Murray recognized that measurement at depth required correct and operational instrumentation because it was indirect measurement that was required. Accurate survey of the ocean floor was paramount to the correct siting of telecommunications cables across the ocean basins. For that you needed an accurate map. This map for the first time showed ‘the deeps’ according to Murray. The mid-atlantic ridge is clearly shown as are areas of the Atlantic Ocean that are greater than 3,000 fathoms deep. In many ways, Murray, the Challenger expeditions and this map were critical in the establishment of oceanography as a distinct branch of science. Murray went beyond calculating bathymetry though, he estimated temperature of the ocean floor as distinct to the surface as well as the amount of light penetrating the darkness and the impact on flora and fauna and marine deposits. 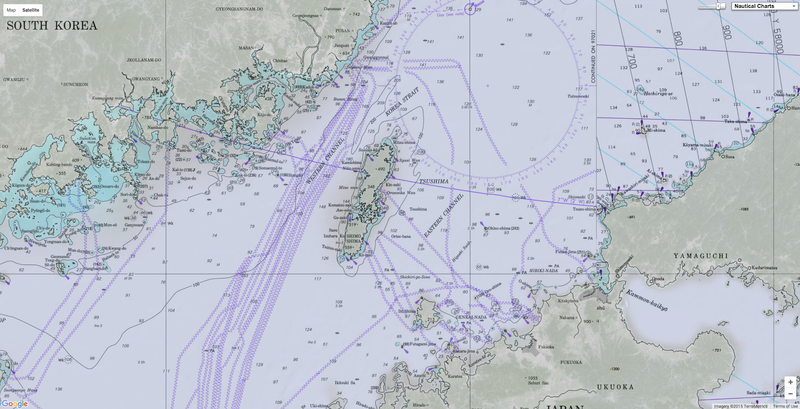 The map uses subtle bathymetric tinting and is the first to officially name many of the deep ocean floor troughs. It’s not a complex map but it’s apparent simplicity belies the efforts and science that went into making it. Maps do not need to appear complex. They can be used effectively to communicate scientific discovery, accuracy and new knowledge. This map, for its time, was revolutionary and was the first to give us a sense of what lies beneath the surface of the vast expanse of seas and oceans. Alexander Supan's world map of 1899 showing both deeps and bathymetric highs of the World Ocean. Note difference in names between Supan and Murray in previous map. upan's naming methodology prevailed in the Twentieth Century. Note also the Karolinen Graben running parallel to the Caroline Islands as opposed to the correct orientation of the Mariana Trench. The earth consists of 70% ocean and 30% land. And yet, famously, we know more about the surface of the moon than what lies beneath the waves, because only 5% of the world’s oceans have been explored. This, despite the fact that 95% of the world’s life, energy and resources lies in the sea. Currently our way of exploring this is by loading a bunch of electronics into something resembling a torpedo (an AUV) which must then explore the vast ocean ranges in a pretty solitary manner. These AUVs are deployed to monitor oil spills and do environmental monitoring, but are pretty expensive, lumbering things which don’t have much intelligence. What would be much smarter would be a swarm of small, autonomous underwater drones that could live almost constantly underwater, roaming the oceans and performing all these duties practically all the time. Like an Internet of Things for the oceans. Enter Hydroswarm, created by MIT PHD student Sampriti Bhattacharyya, who pitched the idea on stage at TechCrunch Disrupt SF today after being selected from Hardware Alley. 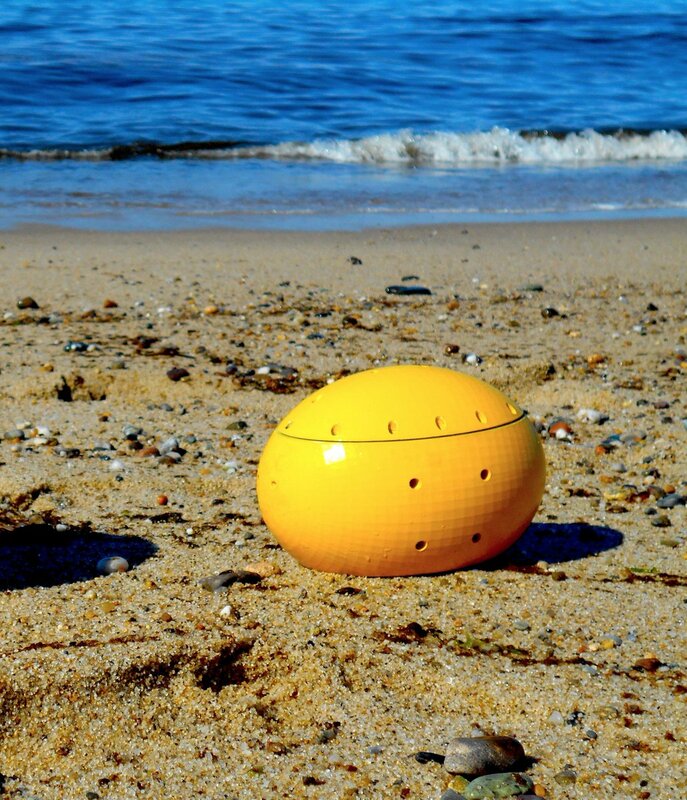 Hydroswarm is an adaptable, smart drone platform for under water explanation. The platforms works with an autonomous drone which lives underwater, dubbed Eve, which can work with multiple other Eve drones to collect data. Eve could operate as a consumer device, a little like an AirDog drone which follows a diver around, which can also upload data to the cloud once it’s on the surface. Of course, used en mass in a swarm, the applications for Hydroswarm combined with Eve drones could be huge, from the monitoring in oil and gas industry, to environmental monitoring, to defense applications. There are several billion dollar markets right there. A swarm of drones sounds like one of the scariest things to ever come out of MIT, but Hydroswarm, a new startup developing underwater drones that automatically work together, instead has visions of mapping the entire ocean. “The whole point of Hydroswarm is to provide a cheap and scalable method of mapping the ocean,” said Sampriti Bhattacharyya, founder and chief executive of Hydroswarm and a grad student at the Massachusetts Institute of Technology. The small drones can work individually or together to either map different parts of the ocean or use sensors to detect abnormalities, including oil spills or radiation. “These are football-shaped drones that are intelligent, autonomous,” she said. a sensor-studded yellow robot the shape of a pumpkin. The breakthrough, she said, was in the communications between the drones. “You drop five of them out, and they use the algorithm to understand (which other drones) they should talk to, and how they should pass on the information,” Bhattacharyya said. She said the idea for the company — which is a MassChallenge finalist — came during the search for Malaysian Airlines Flight 370, which disappeared March 8, 2014, while en route from Kuala Lumpur to Beijing. “We used a bunch of ships, and we used the smartest drone we had at the time,” she said. She said a group of small drones outfitted with equipment to listen for the plane’s black box would have been more efficient, and maybe more effective. “People talk about the robots taking over, but we don’t have the technology to find the darn plane,” she said. A drone swarm would also be useful during an oil spill to quickly measure the pollution below the surface, she said. “Instead of using a bunch of boats to measure pollution, you distribute a bunch of sensors and have them record it,” Bhattacharyya said. Using small drones would be more effective and safer because humans could stay far away from hazardous pollution and material. The drones are designed to be outfitted with different kinds of sensors, making them useful for a variety of applications. Right now, the drones can go between 200 and 250 meters deep, but later versions will be able to go 1,000 meters under the surface, Bhattacharyya said. Normal battery life is about four hours. For now Hydroswarm would like to test the product by producing a consumer version, and then move into industrial and commercial versions later. The drones could also hit the consumer market, she said, to do things such as follow along with scuba divers who have no equivalent to aerial drones. It was how Odysseus sailed the seas, how Columbus reached the Americas, and how Lawrence of Arabia found his way across the vast, featureless deserts of the Middle East. For millennia, travellers used the stars to guide them on their journeys – a technique which, in recent decades, has been replaced by modern technology. But now the US navy is reinstating classes on celestial navigation for all new recruits, teaching the use of sextants – instruments made of mirrors used to calculate angles and plot directions – because of rising concerns that computers used to chart courses could be hacked or malfunction. “We went away from celestial navigation because computers are great,” said Lt. Cmdr. Ryan Rogers, the deputy chairman of the naval academy's Department of Seamanship and Navigation. He told Maryland newspaper The Capital Gazette: "The problem is there's no backup." The era of celestial navigation ended with the launch of satellites in the 1990s, which evolved into the Global Positioning System (GPS). 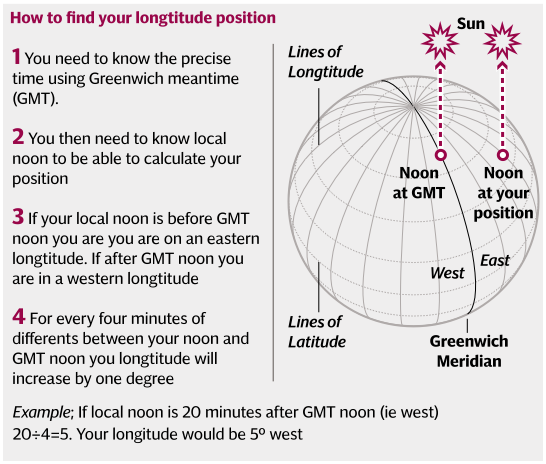 While celestial navigation can calculate your position within 1.5 miles, by 1995 GPS could pinpoint your location within feet, and the system has never been shut down. Today, 31 satellites circle the Earth, each twice a day, costing American taxpayers about $1 billion (£650 million) a year. "The perceived need for sextants was taken away," said Peter Trogdon, president of nautical instrument company Weems & Plath in Annapolis, Maryland. Mr Trogdon, said sales of sextants plunged after the arrival of GPS. "There's only a few thousand sold a year," he said. "Most of those are sold to yachtsmen who want to have a backup." “If you can use GPS, it's just so much more accurate," said Lt. Cmdr. Ryan Rogers. Recruits to the academy in Annapolis, Maryland, have this autumn seen study of the stars return to their curriculum for the first time since it was dropped in 2006. It was reinstated for navigators in 2011, but not for the whole navy. Pilot programmes are also beginning for army reservists in Philadelphia, Rochester and Auburn. 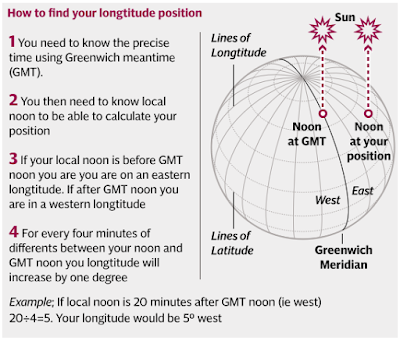 "Knowledge of celestial navigation in the GPS era provides a solid backup form of navigation in the event GPS becomes unreliable for whatever reason," said Captain Timothy Tisch, of the US Merchant Marine Academy – which has never abandoned celestial navigation. "It is also good professional practice to use one navigational system to verify the accuracy of another." The first midshipmen to receive training were juniors this summer. 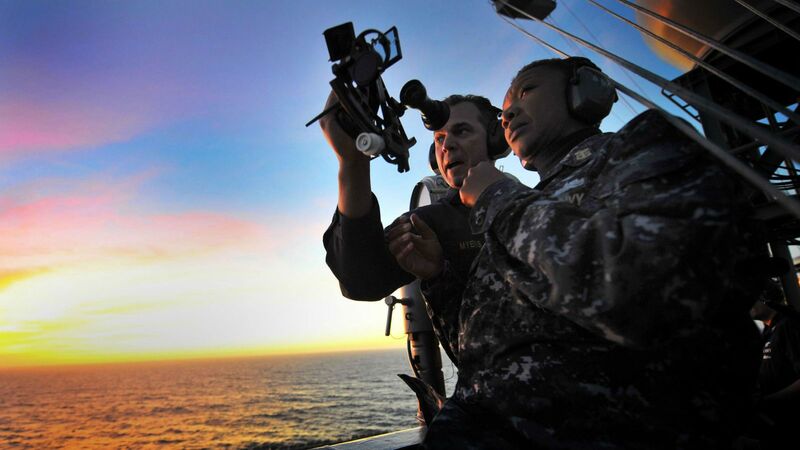 From autumn next year, all newly enlisted sailors will have to study the stars and learn theories of celestial navigation during an advanced navigation course. The Class of 2017 will be the first to graduate with the reinstated instruction. Lt. Christine Hirsch, who teaches navigation at the Naval Academy, explains methods of celestial navigation taught to midshipmen this year. 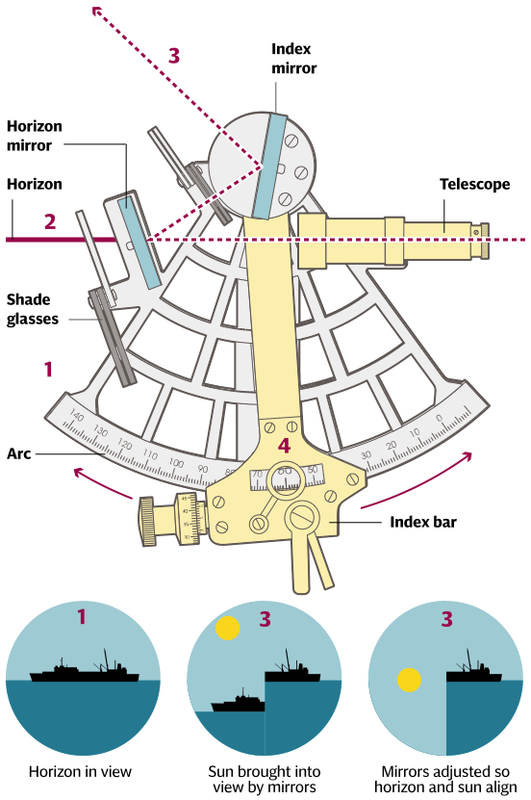 The threat of cyber warfare has led academy officials to reinstate instruction in celestial navigation, the ancient methods of steering a ship by the stars. “This is the first semester we added it in, so we're just baby-stepping it,” said Lt. Christine Hirsch, who teaches navigation at the academy. Only three hours will be taught. Mr Trogdon said the decision was “fantastic”. "How cool is it to go back to the ancestral technique?"